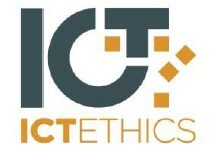 ICTethics performed an integrated ESLA analysis of identified strategic ICT developments that have the potential to revolutionise our lives. The results of the study were translated into a targeted feedback to all stakeholders involved, to the public at large and to general ICT innovation and e-inclusion policy in Europe. In a 2009 EC policy perspective on European robots, future robots are described as "smarter, safer, and more sensitive". They will be more-than-machines, for example, companions and efficient helpers. Similarly, the 2009 Strategic Research Agenda (SRA) for European robotics, titled Robotic Visions (to 2020 and beyond), argues that "[w]ith increased flexibility and ease of use, robots are at the dawn of a new era, turning them into ubiquitous helpers to improve our quality of life by delivering efficient services in our homes, offices, and public places." The 2010 UK (BIS) foresight document on Technology and Innovation Futures also teaches us that, "[o]ver the next decade, the convergence of information technology, nanoscale engineering, biotechnology and neuroscience is likely to lead to highly sophisticated bio-interfaces" (Foresight Horizon Scanning Centre, 2010 - Annex: 136). This document is one among many (e.g. UK MoD Strategic Trends Programme), predicting a proliferation in direct brain-computer interfaces, neural prosthesis, and hybrid computers using technology and organic tissue. The perceived opportunities are e.g. hands-free computing and communication, greatly improved understanding of brain functions, and physical/cognitive enhancement.